Ginkgo leaves are the symbol of the University of Tokyo , Bunkyō, Japan. There are many Ginkgo trees throughout the area of this university. University of Kentucky: New Albert B. Chandler Hospital. "Ginkgo," by mixed media sculpture artist Warren Seelig, will be the focal point of the hospital lobby. 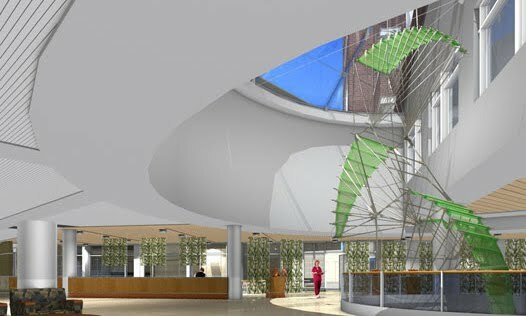 The stainless steel and mesh fabric sculpture suspended beneath a three-story skylight is reflective of the intricate fan-shaped leaves of the Ginkgo tree. Two of these mobiles have been installed in the Radiosurgery waiting room. There is also a local farm owner who donated live trees for the medical center property. 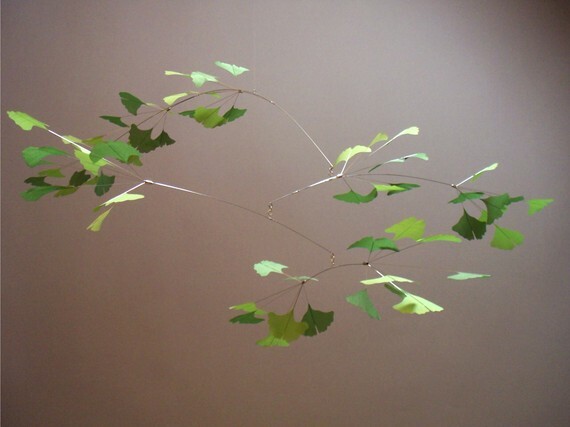 * New photo photospecial page: Baby meets Ginkgo tree: "Hello Ginkgo!". Graham and Mavis Dyer, owners of Bay Park Orchard in Ruahihi Rd, are growing Ginkgo nuts, for commercial production. They planted 2000 Ginkgo trees, three metres apart in rows six metres wide, on 2.4 ha five years ago and expect to start producing nuts in two years. 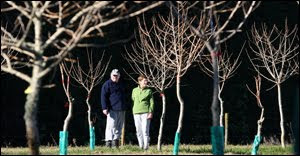 They are the only commercial Ginkgo nut growers in the Southern Hemisphere and have been given a TechNZ grant to discover the best way of storing them and maintaining the quality to fetch high prices in the ready-made Japanese market. At full production, the Dyers are expecting to supply 25 tonnes of Ginkgo nuts - a kilogram can be worth as much as $100 - to Japan in its off season from June to September. The Ginkgo nuts, sought after by the top chefs, are used in soups, stews and desserts, particularly congee, and are served at special occasions such as weddings and other celebrations. The Asians believe that the Ginkgo nut makes them live longer. From 28 June to 2 July Lions Club members (Lions) from more than 100 countries and geographical areas – with different languages and backgrounds came together at the Lions Club Convention in Sydney, Australia. The festivities included the International Parade of Nations, inspiring guest speakers, an exciting international show, and a celebratory "Ginkgo Awards Banquet" in recognition of outstanding achievements by Lions throughout the year. 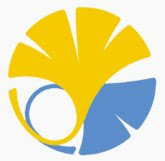 More info about Lions Club Ginkgo Awards on my blog here. 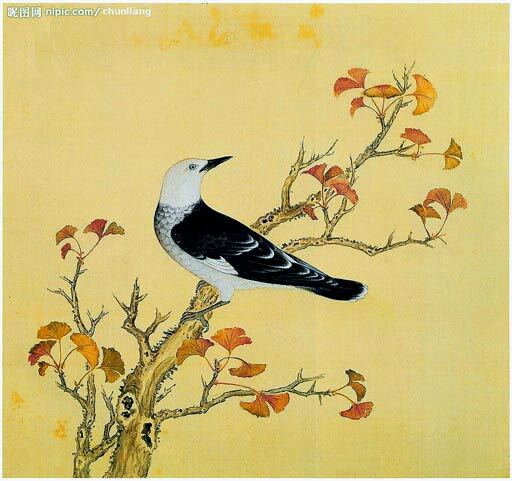 Beautiful painting with calligraphy of a bird on a Ginkgo branch in fall. Painting by chunliang on NiPic.com. 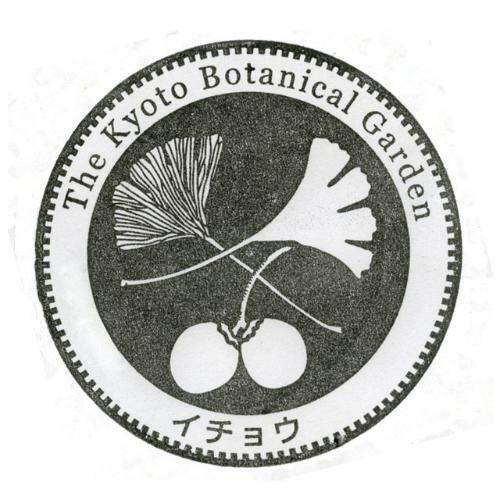 Ginkgo leaves and seeds on a stamp of "The Kyoto Botanical Garden" in Japan. Mayda with song "Little Ginkgo"
Mayda sings "Little Ginkgo" live at the KAXE Studios June 24th, 2010 on Centerstage Minnesota, USA. Funk/Soul/Rock band leader Mayda Miller is a Korean adoptee and was raised in Minnesota. She’s has been writing and playing music since the age of 12. She has produced and performed with numerous world-renowned artists and her music has been featured on various national TV and radio shows. "One of the first to come to be were the Ginkgos. 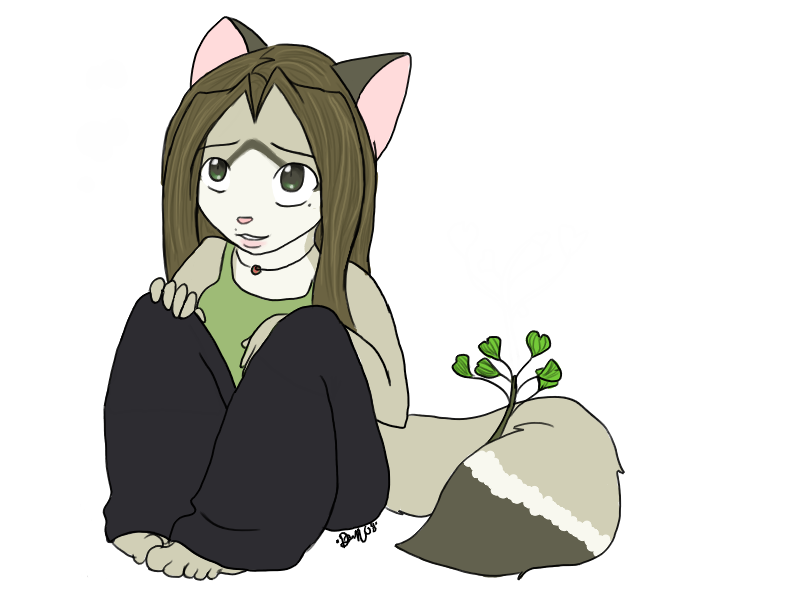 The Ginkgo is not just a favorite plant, it's something I absolutely revere and adore, I have one wherever I live, I'd be lost without it. I've planted ginkgos in other continents and I have one in front of my house. Click on picture to see an enlargement.